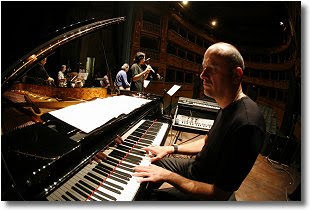 A Taste of Italy: Review of Roberto Magris & the Europlane Orchestra' s "Current Views"
Italian Pianist Roberto Magris has established a floating, predominantly eastern European based orchestra that goes under the title Europlane. The elastic nature of this group allows him to interchange various talented musicians as time and their scheduling availability allow. Make no mistake; it is Magris that is the driving force behind this endeavor. He has a passion for large group, big band arrangements where the multi-instrument format allows him a huge palette on which to paint his musical visions. Magris has consistently offered high quality productions, often times with surprisingly emotive veteran collaborators like, altoist Herb Geller, drummer Jimmy “Junebug” Jackson and bassist Art Davis. 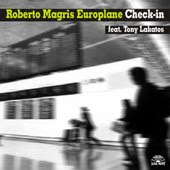 My favorite iteration of his Europlane format to date has been his previously released “Check-In”,with the smoking Tony Lakatos on saxophone. ; many whom I have never had the pleasure of hearing before, playing behind the inspirational force that is Roberto Magris. On “The Story Teller” Magris uses a beautiful Italian folk song as the basis for his melody. He expands from this theme with a dynamic horn section, and the guitar styling of the great Philip Catherine’s gently wailing electric guitar. Catherine is an impressionistic player of top order. 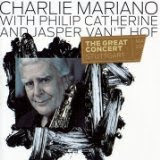 His recent collaboration with the recently passed saxophonist Charlie Mariano on The Great Concert , a fine example of this talented musician's breath. For his part, Magris’s percussive piano solos have a strong McCoy Tyner influence, with a driven approach that envelopes the music in a warm, blanket of sound. These two artists make this one special .The song also features a Shorter-esque soprano solo by Marco Castelli that sails above the pulsing horn and rhythm sections.
. The hauntingly beautiful combination of the arco playing of Vitold Rek on bass along with the tubular sound of Molenhof’s vibes demonstrates Magris’ strong arrangement and his compositional talent. The song settles into a nice groove featuring a serpentine sounding alto solo by Kyrstof Bacso. The song reprises to the vibes/ arco bass duo that bookends the piece back to its original exotic sound. The only standard on the album is Jerome Kern’s “Love in Vain” which gets a boisterous, swinging horn section intro before yielding to Molenhof’s vibes and a tenor solo by Muenchinger. “Hombres” is a Latin inspired tune that features a facile bass solo by Rek, leaving no doubt that the man can play. Drummer Gabrielle Centis anchors the song with his effective sense of Latin rhythms. “React” is a hard driving modal piece inspired by what Magris calls “the Black Stream” of the 70’s jazz music coming from America. Here Magris shows his capacity to play with great kinetics; in the modal, rhythmic style reminiscent of such artist’s as Tyner and Mingus’ pianist Don Pullen. Ottaviano sends the song into the stratosphere with a spirited soprano solo that reminds me of a young Dave Liebman on fire. This one cooks. “Steady Mood” has the predictably languishing sound of the theme to a detective movie. Basco’s particularly silky solo on alto builds on the sultry mood that Magris is setting. Molenhof’s vibes rounds the edges, with a smooth cool sound, as Magris and his rhythm section bring the song though its paces. “For Naima” is actually a dedication, but not to John Coltrane’s wife of the same name. It is instead dedicated to Magris’s daughter whose name was inspired by the Coltrane composition. It has a straightforward swinging vibe where Magris plays Fender Rhodes, with its distinctive 70’s sound, and is joined by soloists Lackner on alto, Schreck on rousing trombone and a swinging Darko Jurovic on guitar. 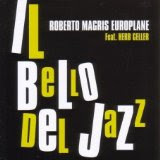 the live performance captured on Roberto Magris & the Europlane Orchestra’s "Current Views" "is a worthy addition to any big band music collection. Musicians: Roberto Magris (piano and arranger); Gabriele Centis (drums); Kristof Basco ( alto on 2,3,4,5& 6); Roberto Ottaviano ( tenor & soprano sax on 2, 3,4, 5&6); Vitold Rek ( bass on 2,3, 4, 5 & 6); Christian Muenschinger (tenor sax 2,3,4,5& 6) ; Bill Molenhof (vibes on 2,3,4, &6); Philip Catherine (guitar on 1); Julius Baros ( trumpet on #7); Rado Tariska (alto on 1); Marko Lacker (alto sax on 7); Marco Castelli (soprano on 1 & tenor sax on 7);Loje Krajncan (trombone on #1); Ferenc Schrek (trombone on #7);Darko Jurovic (guitar on 7);Frantisek Uhlir ( bass on 1 & 7). Beantown's Secret :Jerry Begonzi’s "Three for All"
Jerry Bergonzi has been plying his trade as an extraordinarily gifted saxophonist for many years. 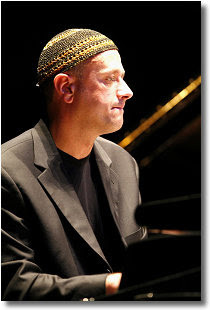 As a member of Boston’s jazz inner circle, he is well known as both an educator and a technically superb player. He has also made his mark as a formidable composer, and yet his name is curiously unheralded in the mainstream press or by the general public. This, despite a series of tours as the saxophonist in Dave Brubeck"s “Two Generations of Brubeck” from 1973-1975, as well as the reincarnation of the Dave Brubeck Quartet in 1979-1981, where Jerry took the role of the late Paul Desmond and made it his own. 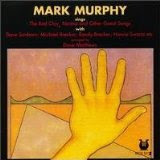 Along the way he had notable collaborations with such luminaries as John Abercrombie, Dan Wall, Adam Nussbaum, Mick Goodrick, George Garzone and others too numerous to mention. 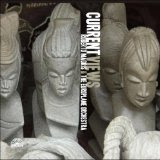 The album starts with the twisting, circuitous playing of Bergonzi on “Crop Circles”. Overdubbing himself on both tenor and soprano, Bergonzi proves he has a marvelous affinity for multiple ideas on the same theme which he weaves together in a seamless array of notes that simply flow beautifully together. He uses this overdub technique on several tunes on this album to great effect. On “Obama”, Bergonzi plays in a slyly cool and almost aloof way during the repeating melody line. Sonny Rollins comes to mind here. Confident, collected and coolly in command is the message. With bursts of creative energy released in measured spurts, Bergonzi may be intimating that hidden under the cool exterior there is an incendiary inner core that quietly burns. The fatalistic tone of the “End of the Mayan Calender” is the perfect aural representation of the forlorn coming of the end of days. Here Bergonzi’s horn cries in a sustained moan that is not so much fearful as it is more resigned to the inevitable. I am struck by the sheer originality of his statements. He never repeats pat phrases or approaches themes from the same direction. His playing is always surprising as it simmers with an intensity that rarely utilizes overstated screeches or scalar runs of too many notes to make his point. “Between the Lines”is another dual voiced piece that allows Jerry to play off of his own alter ego during the opening statement. Bergonzi enjoys using the soprano as a harmonizing instrument to his tenor,but it is the tenor that he uses for real communication. He seems to be talking to you more than playing for you. His sound is both melodic and conversational. “Demolian Mode” features Santoro walking his bass in a seemingly patternless manner, while Michelutti prods the accents from his drum kit, barely keeping time. Bergonzi probes the modal piece on tenor in a wandering, restless way. “Bluebonics” finds Bergonzi utilizing his skills on piano, soprano and tenor,with the effect giving us a glimpse into Bergonzi as the composer. His use of the harmonizing sounds of soprano and tenor is once again employed to create a layered, multi-tonal effect with the comping piano adding a percussive element.He modulates his tone in a very controlled manner and produces a sound that glows with the warmth of a fanned piece of hot charcoal. On “FDIH” and especially “Horus" I am haunted by the similarity to Michael Brecker’s delivery. Bergonzi is in no way imitative of Brecker, but seems to be channeling him on this number. There is a great deal of that impatient, impassioned playing here, more so than on any other tune on the album. It is good to hear that spirit again. I was a big fan of Michael Brecker and his sound is sorely missed. Bergonzi is a player of equal excitement if not notoriety. Santoro's bass is particularly emotive on this song. On the opening of “Tectonic” Begonzi’s uplifting soprano is featured again in tandem with his own tenor and his own overdubbed comping piano. When his tenor takes over he delivers a sensitive and powerful series of unique statements that seem to offer a tip of the hat to the late Joe Henderson. With comparisons to Rollins, Brecker and Henderson one might get the impression that Jerry Bergonzi is just another imitator, but that would be woefully incorrect. Bergonzi has his own distinctive sound; one that should be appreciated on its own merits. He has distilled the best of these artists into his music through his virtuosity and compositional artistry. 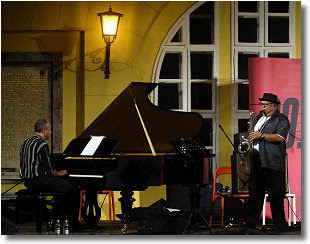 Musicians: Jerry Bergonzi ( tenor and soprano saxophones, piano) ;Dave Santoro (acoustic bass); Andrea Michelutti (drums). I have recently returned from a trip out West skiing in the Wasatch Mountains of Utah's Park City area. This has become a ritual of sorts with me, as I find the break from my everyday activities of construction and writing about jazz as a necessary elixir for rejuvenating my spirit. I took this trip with my best bud, or more correctly my psychic brother, whom I have known for over thirty years and it was a new experience for both him and me. Although I had been there several times before, with various partners and friends,it was his first time skiing west of the Mississippi. He had been looking forward to the experience of "western" skiing for nearly a decade. Despite the lack of fresh snow or even a dusting of powder I reveled in his enthusiasm and excitement. (It is not hard to see the raw evidence of global warming with each passing day. I really don't understand the deniers, but that it for another post.) As male brothers/friends often do, we pushed ourselves to our physical limits, often silently wondering who would give in first. Heavy doses of Advil and knee braces have now become essential items in our supplies. Over the years, we have found this formula of organizing little physical challenges for ourselves to be both entertaining and enormously rewarding. We have hiked several peaks and skied several mountains and want to include some kayaking and mountain biking into our future plans. We do all this in a concerted effort to not let life pass us by without establishing physical goals and meeting the challenge those goals present. I believe this has kept us both young in body and spirit and will continue to do so for as long as we both are able. We skied for the full five days and made our way to each of the three mountain tops that the resort had to offer-Park City, Deer Valley and The Canyons. I have always been drawn to the mountains. The peaceful calm that one experiences at the tops of these stairways to the heavens is a feeling almost like no other. This time, I realized that this evokes a similar feeling to the one that I get when a really wonderfully, expressive piece of music is played by a heartfelt and talented musician. A musician that abandons his own ego and technique, relinquishing himself to the spirit that flows through all of us. This expressiveness, this tap into the ether that psychically binds us, is not the exclusive territory of jazz music. But for me, jazz, is the genre that I find most open to this kind of spiritual expression. Skiing or hiking on a mountain top produces the same euphoric highs that really listening to a passage of a Coltrane or Evans or Brecker or Sanders or Monk or Shorter or Dolphy piece of music does to me. Maybe I make too much of this, but there is an inescapable linkage here that I cannot shake. This spiritual connection comes for some through the physical challenge, the communion with nature; for others it comes through interaction with other people and the joy we feel from those we love or those we help; and for a few of us it is attained through the musical explorations of others, the aural prophets, that lead us to that special place inside us all. When all is said and done we are all connected. Joe’s Pub is a lower east side jazz venue that has more of the feel of a theatrical venue then a jazz club. As you make your way into the performance space, with its high ceilings and multiple levels, you are ushered past the waitress station and can go either left toward the stage or right toward the elevated bar and lounge area. There is occasionally the sonic and vibratory presence of the subway that runs under the building, at times creating an uninvited rumble during the performances. Tessa Souter is a tall, slender, elegant, sultry looking vocalist who has a pleasant countenance. She engages her audience with playful banter and a genuine smile. On this occasion, her long strapless lame gown, her tightly coiffed hair and the pendulous earrings that dangled from her ears in elegant style accentuated her refined look. Steeped in her British and Trinidadian heritage, she has a voice that is both a little proper and a little playful in a beguiling way. It has a warmed honey texture that is in the contralto range rarely stretching too far a field from her comfort zone. Her wording is precise and she uses no vocal gimmickry. Ms. Souter is most emotive when languishing in the lyrics of the sensitive songs from her repertoire, which she generally chooses with great care. She accentuates the mood she builds with a deft use of gentle pauses and well-timed refrains. On this evening she was joined by Jason Ennis on acoustic guitar, Maryanne Sweeney on acoustic bass, Connor Meehan on drums and Victor Prieto on accordion. 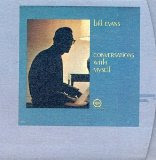 The one set show started with the Alex North composition “Love Theme from Spartacus”, made famous by the inimitable Bill Evans on his CConversations with Myself LP. Ms. Souter soulfully rendered this delicate jewel in an economical fashion, accompanied only by Ennis’s acoustic guitar and Sweeney’s arco bass. Less can sometimes be more. 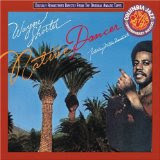 On the Mongo Santamaria/Wayne Shorter montage “Afro Blue/Footprints”, Souter chose the rhythmic patterns of these songs, added her own inherent Caribbean sensibilities with her brooding vocal and created a uniquely moving hybrid. The highlight of the evening came with Ms. Souter’s rendition of Milton Nascimento’s soaring “Empty Faces” (Vera Cruz), which brought to mind the energetic and stylistic Mark Murphy’s rendition. Ms. Souter, while not as adventurous a vocalist as Mr. Murphy (with whom she has studied), showed a genuine affinity for the lyrics and rhythmic intensity of the song and delivered both brilliantly. She was equally impressive on her moving Obsession from her latest album of the same name. Ms Souter’s sensuality eliciting the anguish that only comes from someone who has lived through an all-encompassing love interest. Victor Prieto added an immeasurable poignancy to this music with a stirring and modulating solo on accordion that evoked a Tango Nuevo influence. A quirky rework of the Lennon & McCartney composition “Eleanor Rigby” featured an exaggeratedly expressive vocal by Souter, as Ennis, Sweeney, Meehan kept the beat and Prieto went in and out with modulating accordion accents. “Avec le Temps” and the overdone Leonard Cohen’s “Send in the Clowns” were less thrilling. I was struck by how measured Ms. Souter was in her delivery. Having these wonderfully provocative bare shoulders on display, I was disappointed that she didn’t use them to accentuate the musical content in the classic chanteuse style. On her self-penned “You Don’t Have to Believe Me” from her latest album, Ms. Souter returned to music that she does best. This time, with an exotic Middle Eastern flavor, supported by repeating the bass lines of Sweeney, an oud-like guitar solo by Ennis and a staccato treatment of percussion by Meehan, Souter shined. You could really see her being taken away by the snake charming rhythm of the music. Her voice modulated with vibrant harmonic utterances creating a hypnotic trance. Ms. Souter’s pure immersion with the music made all the difference in the world and the audience responded accordingly. Ms. Souter rendition of the Miles Davis/Bill Evans “Blue In Green” fell short for me. Ivan Lins beautifully sensitive “The Island”, a seemingly perfect vehicle for Ms Souter’s evocative voice, disappointingly lacked the emotional depth of delivery that the song requires. Jason Ennis’s unusual Brazilian arrangement of the Jack Bruce rock classic “White Room” was a crowd pleaser. This type of re-working of a classic popular song does not seem to showcase Ms. Souter’s real appeal. Thankfully,on her final song of the set, Ms. Souter returned to her own material This time the chant-like “Usha’s Wedding” which she sang with a spiritual demeanor that evoked scenes of a sacred Native American ceremony, reaffirmed her affinity to the rhythms and music that she channels through her Caribbean roots. A legacy that embraces a myriad of ethnic influences and is a stronger influence on her than her more staid English heritage.